Central bankers are at their most comfortable when engaging in technical debates over the finer points of monetary policy. But over the next few years they may be forced out of their comfort zone into a thorny philosophical debate over anonymity and financial censorship. They are poorly equipped for such a debate. Banknotes are anonymous because it is very difficult to link banknotes to identities, say by monitoring usage of notes via a note's serial number. As for 'uncensored', this means that banknotes are available for anyone to use—i.e. they are highly resistant to censorship. There are no gateways involved, no need to get permission ahead of time by opening an account or installing some sort of proprietary software or hardware, and no way for the issuer to halt a payment while it is being made. If you glance through the research papers that central banks typically publish, they're almost all on monetary policy. And why not? A stable medium of exchange is one of the most important services provided by a central bank, so they need to do their homework. But if you try to find research on the topics of anonymity and censorship resistance, good luck. What this tells me is that central bankers know very little about the unique set of services they are providing to the cash-using public, despite being the world's only suppliers. Not only have they blundered into their role of monopoly provider of anonymity and uncensored payments, they are trying their best to pretend the role isn't theirs. Take for instance the European Central Bank's decision to stop printing the €500 note, which was motivated by the desire to cut down on crime. No doubt a significant chunk of €500 notes are used by criminals, but the ECB seems to have made no effort to quantify the anonymity services lost by the tax-paying non-criminal public. Because the ECB has never officially admitted its role as Europe's sole provider of uncensored payments anonymity, it lacks the sorts of datasets and institutional wisdom that are necessary for formally approaching problems about anonymity and censorship-resistance. So while their decision about the €500 wasn't necessarily wrong, it was surely uninformed. Related to all this is Tyler Cowen's recent article criticizing central banks that take an active role in developing their own cryptocurrencies. His critique includes the Fedcoin idea, or a public cryptocurrency available to anyone that is pegged by the central bank to the national unit of account. Cowen says that this "new and potentially risky responsibility" might tax central bankers' resources. The problem with this is that the responsibility of delivering anonymous and censorship resistant cash is an old one. In this context blockchain technology isn't anything special, it's just another technology among many that central bankers might use to upgrade the quality of the public services that they are already providing. Banknote technology has been constantly improving over the decades. For instance, anti-counterfeiting technology began with serial numbers and elaborate engravings on notes in the 18th and 19th centuries. 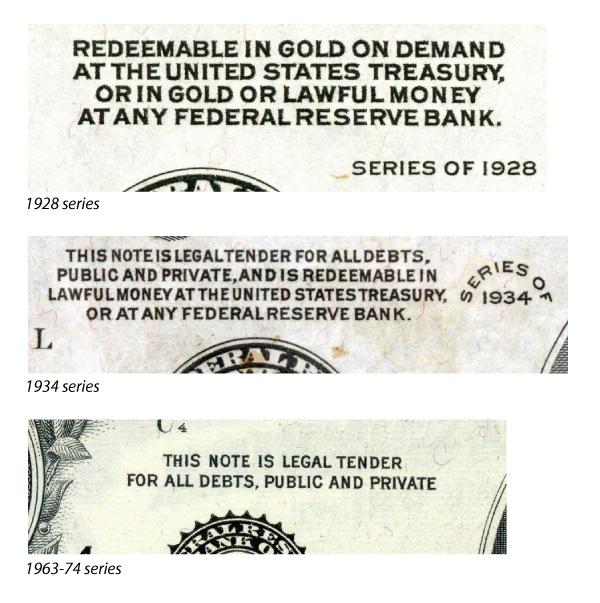 Even after banknote production was monopolized by governments, improvements continued into the 20th and 21st centuries with security threads, watermarks, holography, raised images, clear windows, latent images, microprinting, and luminescent ink. The substrate on which notes are printed has evolved from cotton and/or linen to polymer, or a hybrid of the two (see image at top). If central bankers had applied Cowen's advice to avoid new technology, banknotes would still be printed on cotton and lack modern anti-counterfeiting devices. The advantage to digitally delivering these services rather than physically delivering them on polymer or cotton is that a payment no longer requires face-to-face meetings; it can occur over the internet. This would constitute a dramatic upgrade to the quality and breadth of the anonymity and censorship resistance services that are currently being provided by our central bank monopolists. With the emergence of bitcoin and the slowly percolating Fedcoin debate, central bankers are thinking for the first time in ages about designing cash-like systems from scratch. And since these systems may eventually replace the physical stuff, central bankers will have to accept the fact that they are the only providers of anonymity and censorship resistant payments services, and that maybe they should get their act together and think hard about the value of these services to the public. A great start can be found in former Fed policy maker Narayana Kocherlakota's Monetary Mystery Tour, which ends with the exhortation: "Need more economists working on these issues!" Bringing this back to Cowen's article, I don't agree that central bankers should refuse to test the idea of a central bank-issued cryptocurrency because this represents a new and risky technology. That would be shirking their duty as a monopolist provider of the unique services embedded in paper cash. Central bankers should only say no to Fedcoin because they've done a rigourous cost-benefit calculus that takes into account the social value of anonymity and censorship resistance to the public, and that effort has resulted in a conclusion that the status quo—the provision of these public services on a polymer or cotton substrate—is the best option. Having blundered into their role as monopoly provider of anonymous payments, here's hoping that the cryptocurrency revolution means that central bank's finally take that role more seriously. If they don't, maybe they should just give up their monopoly. *Can bitcoin serve as a suitable replacement for cash? Unlike cash, bitcoin can't be used to make anonymous payments. Bitcoin payments are pseudonymous—so they don't quite make it over the line. The other problem is that bitcoin is not pegged to national units of account. Thanks to its terrific volatility, bitcoin has failed emerged as a genuine medium of exchange, so it can't take on the responsibility of providing law-abiding citizens with a generally-accepted anonymous and censorship-resistant medium for making payments. **I am by no means wedded to blockchains as a way to digitally capture anonymity,censorship resistance, and robustness. There are other ways to go about this that do not involve blockchains. The narrative that drives any speculative market needs constant fuel in order to attract new buyers. Bitcoin is no exception, which is why recent events in Zimbabwe have been recruited—albeit sloppily—by the bitcoin press to provide more fuel. The facts of the matter are this: if you head over to Golix, Zimbabwe's only bitcoin exchange, you'll see that bitcoin last traded at $13,800 whereas its price on an American exchange like GDAX is $8260. That's a difference of around $5000. Strange, right? The bitcoin press, and I'll pick on Zerohedge here, has interpreted this divergence to mean that bitcoin usage is skyrocketing in Zimbabwe. Zimbabweans are seemingly so desperate to get their hands on some bitcoin that they are willing to pay $5000 more per coin than they would pay if they bought on an international exchange like GDAX. Recall that one of bitcoin's earliest and most potent use cases was to provide unbanked Africans with an efficient way to transact. The effort to bring bitcoin to Africa has significantly underperformed the earlier hype—but nevertheless the dream of helping out the poorest continent still beckons. Well, we've finally got a real-world case of bitcoin being used by Africans. And if Zimbabweans have adopted the stuff as money, goes the story, then it's only a matter of time before other developing countries and then the whole world goes full hyperbitcoinization. This last term refers to an oft-quoted idea originating from Daniel Krawisz that currencies will fail to compete with bitcoin, leading to a rapid bitcoinization of the world. Think of it as dollarization, except really fast. The truth is that Zimbabweans are not paying $5000 more per bitcoin than everyone else. As I've written many times on this blog, and recently at BullionStar (see my postscript at the bottom of this post), Zimbabwe is no longer on a U.S. dollar standard, having had a new Zimbabwean currency thrust on it by the government over the last year or two. This new currency was supposed to be fully convertible into U.S. dollars, a promise that has proven to be illusory. It has since slipped to a large discount to the dollar. So when Zimbabweans buy bitcoin for $13800—they aren't paying with U.S. dollars, they are paying with this new unit. The Zimbabwean price for bitcoin therefore deviates from the U.S. dollar price for the same reason that the Mexican bitcoin price of Mex$153,000 deviates from the U.S. dollar price—Zimbabwe, like Mexico, has its own freely-floating currency. This explanation for Zimbabwe's peculiar bitcoin price certainly makes for less interesting headlines than the explanation put forward by the bitcoin press. Here's why I find the price of bitcoin in Zimbabwe interesting. The prices of easily transportable items with high value-to-weight ratios should trade at the same real price all around the world. Included in this category are things like human blood, diamonds, plutonium, gold and silver, heroin, $100 bills, stock certificates, and of course bitcoin. The law of one price prevails because if the price of gold in a country like Zimbabwe falls below the world price, than arbitrageurs will buy gold in Zimbabwe and sell it overseas until the price has converged back up to the world price. If the gold price rises above the world price, they'll buy overseas and export it to Zimbabwe until the price falls. Items with high-value-to-weight ratios like gold and bitcoin provide an opportunity to infer currency exchange rates. Because a bitcoin trades for Mex$153,000 in Mexico and $8260 in the U.S., we don't even have to visit a foreign exchange website to know that the exchange rate is about 19 Mexican pesos to US$1. Just divide $153,000 by $8260. Likewise in Zimbabwe. Given a bitcoin price of $13,800 in Zimbabwe and $8260 in the U.S., we can safely assume that the exchange rate is around 1.70 Zimbabwean currency units to US$1. This ability to back out an exchange rate using items with high value-to-weight ratios is especially handy for researchers and reporters who are observing countries from afar that lack official venues for trading currency. In Zimbabwe, the market exchange rate is set unofficially, on street corners and such. Without an on-the-ground data gathering network to canvas street corners, an outside observer can get a decent proxy for the exchange rate by gathering bitcoin prices on the internet. In fact, inflation researchers like Steve Hanke have long-since been gathering data on high value-to-weight items to back out exchange rates, although they have typically used the prices of inter-listed stock rather than bitcoin for this purpose. In this post I described the inter-listed stock technique being used in Zimbabwe, and here I describe how it could be used in Greece and Ecuador. In the future, bitcoin exchanges may offer yet another way to formally gather unofficial exchange rates. Zimbabwe's autocratic leader Robert Mugabe was put under house arrest by the army on November 14. Let's use what we now know about bitcoin prices to observe what has happened to the exchange rate since then. The price of bitcoin on Golix has been stuck in a range between $12,000 to $15,000 even as the U.S. dollar price on bitcoin exchange GDAX has jumped by ~$1500, or 26%. Golix prices are incredibly variable, far more so than international prices, so I don't want to overstate my case, but it seems likely that the purchasing power of Zimbabwean currency—inferred from bitcoin prices—has actually improved since the coup. As I said in my BullionStar article (again, see note at bottom), this firming up of the Zimbabwean currency may indicate that markets see some improvement in the odds that a stable new regime emerges in Zimbabwe, one that enjoys acceptance by the international community. Due to its pariah status, the Mugabe government has been unable to get aid from the World Bank or IMF for many years now. If its status changes, a new loan could allow the country to a re-peg the Zimbabwean currency at a 1:1 rate with U.S. dollars. 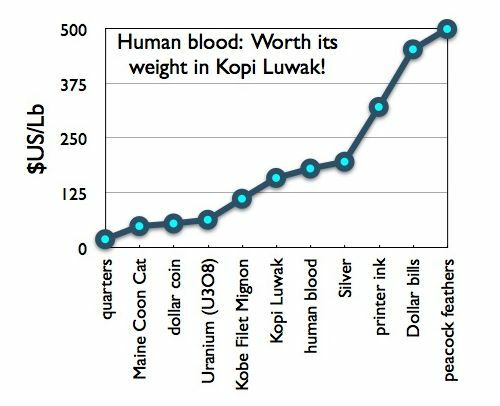 The improvement in the exchange rate that I've inferred from bitcoin prices is corroborated by looking at the prices of other items with high value-to-weight ratios. As I pointed out earlier, Steve Hanke uses inter-listed stocks to back out exchange rates, in Zimbabwe's case the shares of Old Mutual which are traded both in Harare and London. The ratio between the two listings is known as the Old Mutual Implied Rate, or OMIR. 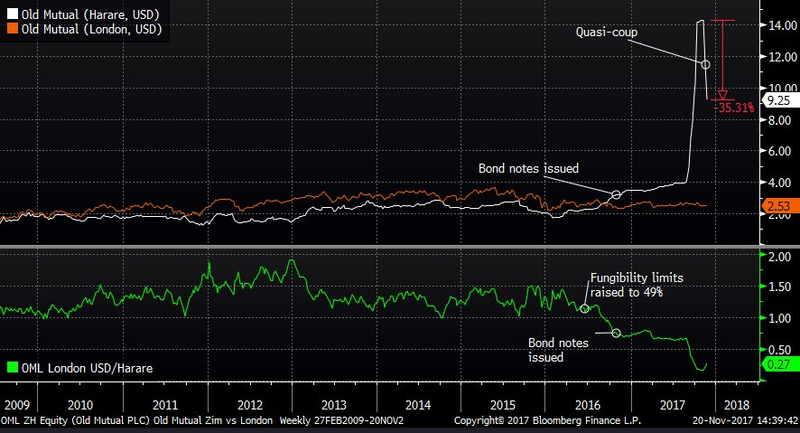 Gareth from Twitter, who knows a lot about Zimbabwe's financial situation, sends me the following chart of OMIR (the green line). You can see that there has been a big decline (35.1%) in the Zimbabwean price of Old Mutual (white line), but almost no change in its London price (orange line). As a result, the green line—the ratio of the London price to the Zimbabwe price—has moved higher. Which means that the purchasing power of Zimbabwean currency has improved since Mugabe's arrest, albeit just by a bit, corroborating what we already learned from the Golix-to-GDAX bitcoin ratio. None of this is evidence of hyperbitcoinization in Zimbabwe. In fact, if you spend some time on Golix you'll quickly notice that volumes are very thin and the trading range incredibly wide. Over the course of a few hours, I saw the price on Golix rise and fall by $1,500 whereas the U.S. price on GDAX has been relatively immobile. Bitcoin is attracting some traders, but it hardly seems popular. Any Zimbabwean who wants a safe haven has probably been buying U.S. dollars on the street corners. Sorry folks, but as far as I can tell Africa still lacks a bitcoin use case. P.S. I am happy to announce that for the first time I'm being paid to blog. The folks at BullionStar will be hosting blog posts from me over the next few months. Expect the posts to be on some of the same topics I blog about here; monetary policy, gold, bitcoin, and more. My first effort gives a quick overview on the Zimbabwean monetary situation. I am always looking for more opportunities for paid blogging in my general area of expertise; contact me if you have any leads. "One immediate problem with any new currency is how to value it. Even ignoring the practical problem that virtually no one will accept it at first, there is still a difficulty in coming up with a reasonable argument in favor of a particular non-zero value for the coins." The bootstrapping of bitcoin seems to have been achieved with some care. William Luther has gone through old bitcoin message boards to show how early adopters, including Finney and bitcon-creator Satoshi Nakamoto, coordinated to 'enter the network' at the same time, thus generating a positive value for worthless bitcoin tokens. A token that is already valuable, perhaps because it is useful for some non-monetary use like jewellery, or because it is directly convertible into an already-existing money, is much easier to launch than one that isn't already valuable. Bitcoin didn't have the benefit of non-monetary usefulness. By way of Timothy May's Cyphernomicon, I recently discovered that bitcoin wasn't the first attempt by cryptographers to launch an intrinsically worthless digital token into positive-value space. Similar bootstrapping attempts occurred back in a previous era of digital currency experimentation, the mid-1990s. In 1993 the extropians—a group that believes in the technological possibility of immortality (among other things)—set up an experimental market called the Hawthorne Exchange where individuals could trade units of reputation. There seems to be some crossover between extropians and cypherpunks with the reputations of folks like Timothy May and Nick Szabo, both key contributors to the Cypherpunks electronic mailing list, being listed on the Hawthorne Exchange. Trades were made using the exchange's own native currency called thorne, which had a fixed supply. Not only did the extropians succeed in generating a positive price for twenty or thirty reputation tokens, but by extension the native currency—thornes—was also bootstrapped. As part of the experiment, people began to sell stuff for thornes, including copies of digital cash papers and old books. They made bets in thornes and even established a U.S. dollar price for the nascent digital currency (it was somewhere between 100 and 1000 thornes per dollar). "It is important to understand that Thornes are not like dollars. Unless HeX shares can be given a grounding other than the whim of their owners, the market will surely collapse, because there is nothing to support it." Finney would be proven right, since the Hawthorne exchange was shut down sometime in 1994. "Now, if you're still awake, comes the fun part: how do you introduce real value into your digicash system? How, for that matter, do you even get people to play with it? What makes gold valuable? It has some useful properties: it is a good conductor, is resistant to corrosion and chemicals, etc. But those have only recently become important. Why has gold been valuable for thousands of years? It's pretty, it's shiny, and most importantly, it is scarce. Digicash is pretty and shiny. People have been talking about it for years, but few have actually used it. You can make your cash more interesting by giving your server a provocative name. Running it through a remailer could give it an 'underground' feel, which would attract people. Your digicash should be scarce. Don't give it away in large quantities. Get some people to play with your server, passing coins back and forth. Have a contest - the first person who (breaks this code, answers this question, etc.) wins some digital money. Once people start getting interested, your digital money will be in demand. Make sure demand always exceeds supply." From the cypherpunks mailing list we learn that over the course of the next few months four or five unique tokens were created using Magic Money, including Tacky Tokens, GhostMarks, DigiFrancs, and NexusBucks. As in the earlier case of thornes, an attempt was made to sell goods and services in these new currencies. One poster on the Cypherpunk message board offered to pay coders to write software with NexusBucks, and another tried to sell GIF art of tacky tokens. After a flurry of activity, however, interest died off. "It appears that the Magic Money/Tacky Token experiment is not succeeding in producing an informal digital currency," wrote Hal Finney in May 1994. "People have offered services in exchange for this money but have had no takers." In a post entitled Why Digital Cash is Not Being Used, Tim May blamed the failure of Magic Money on the lack of items to buy with tokens and confusion about how to get them and send them. It's worth a read. No sooner had the Magic Money experiment died when a new new opportunity for bootstrapping digital tokens emerged. David Chaum, an early advocate of privacy, had established a company called Digicash in 1989 to commercialize the use of blind signature technology in electronic currency. In a trial that was first announced in July 1994, Digicash offered the first 10,000 applicants one hundred free cyberbucks, or e$, up to a maximum issue of one million cyberbucks. To Digicash's surprise, several primitive financial markets emerged to trade cyberbucks for genuine currency. On the Ecash Exchange Market, which was hosted on the website of company called Firecloud Solutions, a price of around five cents per e$1 was established (see image below), effectively valuing the entire market capitalization of cyberbucks at $50,000. For those with long memories, the above Ecash market looks very similar to New Liberty Standard's bitcoin-to-paypal market, the first bitcoin exchange that was established in 2009. The cyberbuck trial did not last. While there was plenty of discussion about the topic in 1995, there are only a few mentions of cyberbucks on the Cypherpunk mailing list in 1996, but almost nothing in 1997. When I asked Zooko if he still had cyberbucks, he told me he had long since lost his. Who knows? They might still be worth a lot as collector's items. Like cyberbucks and the other mid-90s experiments, bitcoin began as a mere play thing among a small coalition of technologists interested in privacy. Why did bitcoin get successfully boostrapped while the others failed? How did one form of monopoly money spread over the entire globe while the others were never used by anyone other than a small band of cypherpunks? One answer is luck. Perhaps nothing more than a fortuitous flap of a butterfly's wings in Brazil set the whole thing off. Another is experience. After three failed efforts to bootstrap electronic tokens, perhaps the cypherpunk community had developed a better understanding of what not to do to get the ball rolling. Hal Finney for one participated in all four digital currency experiments. The technology was different as well. Because it utilized David Chaum's patented blind signature protocol, Magic Money was technically illegal, and thus unlikely to spread to more timid adopters. As for cyberbucks, once the trial was over the server running the software would have to be shut off, at which point there would be no way to verify cyberbuck transactions. Knowledge of this imminent shutdown would have handicapped the ability of cyberbucks to propagate beyond the core group of hobbyists. Bitcoin, on the other hand, used a decentralized (and unpatented) method of verifying transactions, so the threat of winding up the system was less salient. I'm not sure these technical factors were as important as the different macroeconomic environments in which the various digital currencies were issued. Cyberbucks, Magic Money, and thorne all appeared when the global economy was humming along and interest rates were high. Owning these zero-yielding tokens meant that users had to make a large sacrifice. In 2009, interest rates around the world had fallen to near zero, so holding a digital currency like bitcoin did not involve forgoing much in the way of interest income. If usage of an intrinsically worthless token is to spread beyond an inner clique of hobbyists, a whole army of dreamers and speculators has to be encouraged to jump onto the bandwagon. What better pool to recruit from than the ranks of unemployed and underemployed in the wake of the 2008 financial crisis? This pool of downtrodden simply didn't exist in the humming 1990s. Folks back then had no need for a bubble asset to get them ahead—they enjoyed full-time jobs and plenty of opportunity. Perhaps we were all a bit innocent in the 1990s and didn't understand how much our privacy could be invaded by governments and corporations. Magic Money and cyberbucks, which promised protection from these threats, arrived too early. When bitcoin was finally introduced, it may be that we had all become a bit wiser and thus more willing to endure the hassles of switching some of our wealth into cludgy digital currency. Lastly, people weren't upset with the finance establishment back when thornes, Magic Money, and cyberbucks were being introduced to the world. 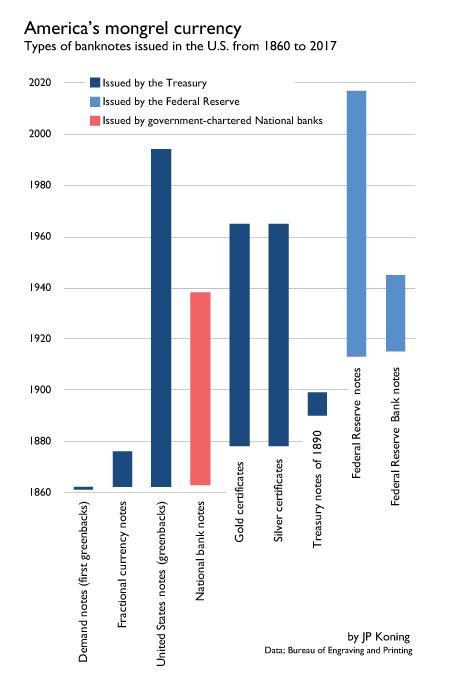 While recessions had hit in the early 1980s and 90s, they weren't accompanied with large-scale financial meltdowns. But in 2009, the credit crisis and bailouts were just in the rear-view mirror. Many were furious with banksters, and justifiably so. Turning to bitcoin was a protest vote.